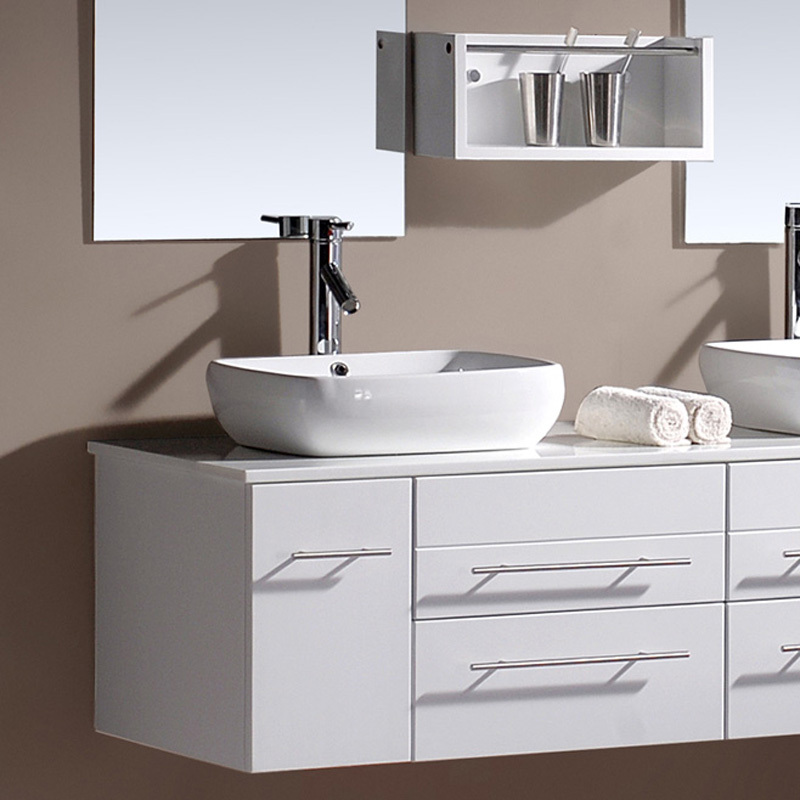 The 60" Augustine Double Sink Vanity is gorgeously bright with its beautiful White finish. 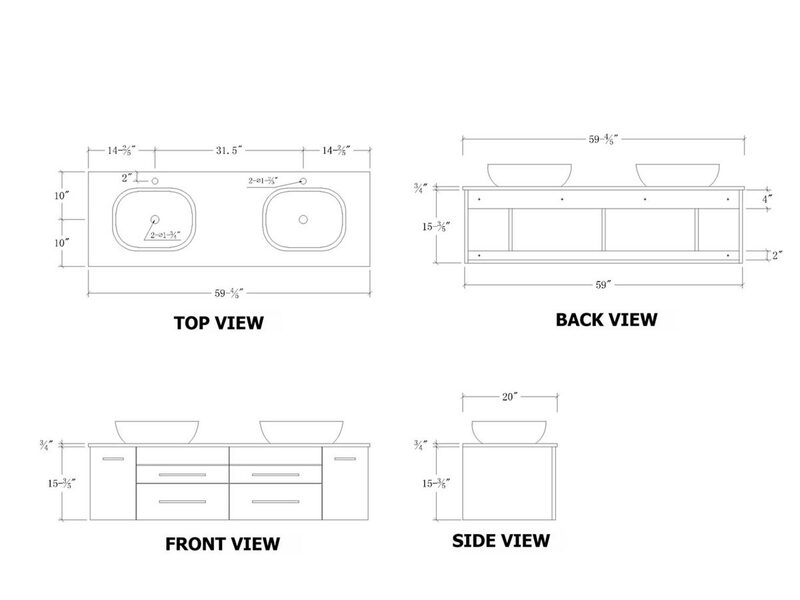 It features clean lines and a distinctive design for a remarkably modern look. 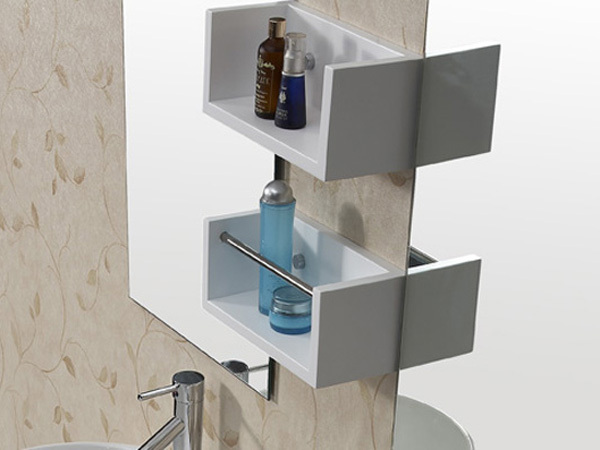 The Augustine mounts directly into wall studs, giving the floor space beneath it an airy feel. 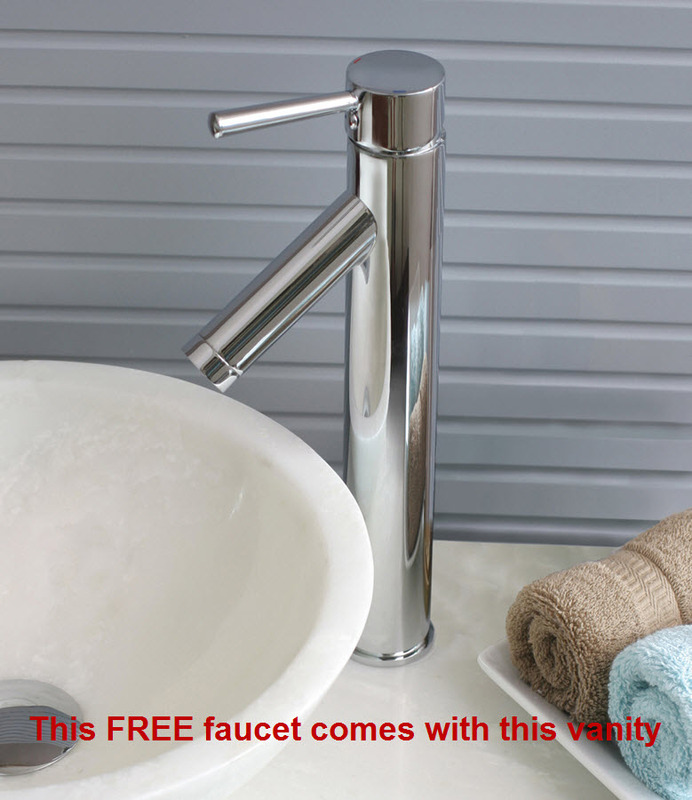 It comes with complete with ceramic vessel sinks and solid brass faucets with pop-up drains in a chrome finish. 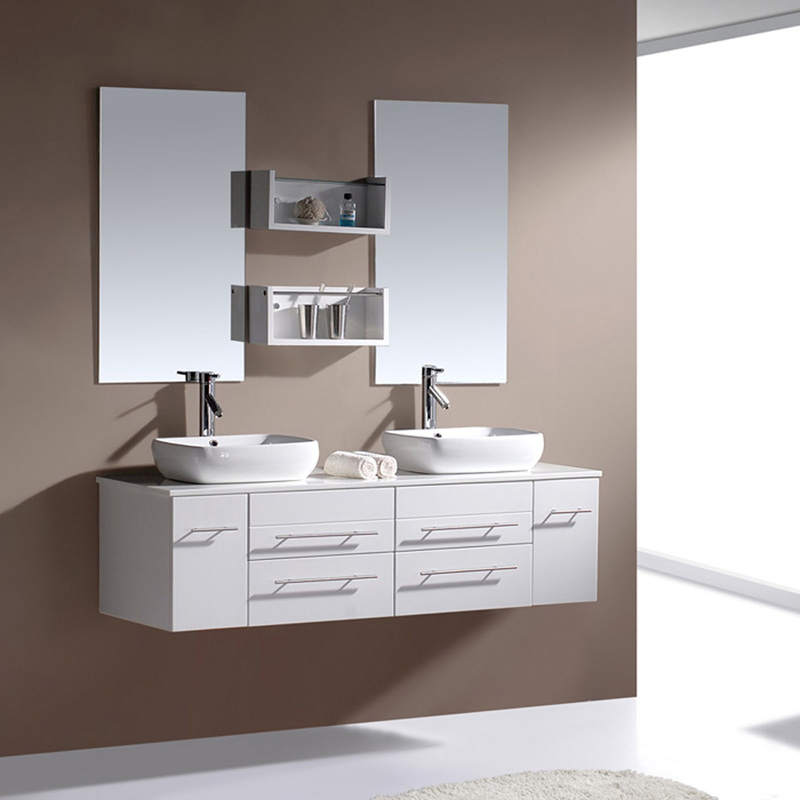 This European highest quality standards vanity comes complete with elegant two wall mirrors with shelves.